Portrayers: Matthew Maienczyk (Niemcyzk), December 18, 1980 - 1982. 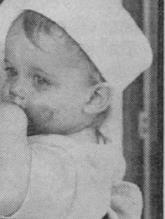 Alexander Parker, March 1982 - February 11, 1986. 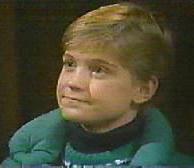 Daniel Dale, September 23, 1986 - December 31, 1987. Matt Crane, March 25, 1988 - March 14, 1997; December 21, 1998 - June 25, 1999. 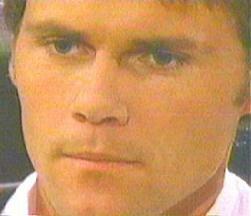 Brian Krause, September 19, 1997 - March 12, 1998. Jeff Phillips, March 19, 1998 - December 14, 1998. Introduction Scenes: (Daniel Dale) A car, to Mac Cory (RIP), "But when did all this happen?" 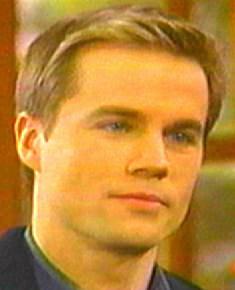 (Matt Crane, 1988) Sam and Amanda's loft, to Sam Fowler and Amanda Cory after walking out of their bathroom, "I didn't hear you. I was drying my hair." (Brian Krause) Center Street, with Lila Roberts. (Jeff Phillips) Jogging in a park with Amanda Cory. (Matt Crane, 1998) The Cory Mansion living room, to Rachel Cory Hutchins, "Morning, Mom." Exit Scenes: (Daniel Dale) To Sam Fowler about his Brava cover design, "Keep it up." (Matt Crane, 1997) Carlino's restaurant, to Sofia Carlino after kissing her goodbye, "I'll remember you." 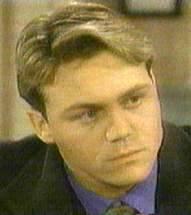 (Brian Krause) Talking to Lila Roberts at her apartment. (Jeff Phillips) To Lila Roberts in her bedroom at the Cory Mansion, "Good night." (Matt Crane, 1999) To Amanda Cory, about the fireworks at Foster Park, "Now that's the way to end a party." Birthday: (Former) December 18, 1980. Matthew turned 15 in late 1987. (Current) May 3, 1970. Other Aliases: Named after the Matthews family because he was supposed to be raised by Russ Matthews and his wife Tracy Dewitt since Rachel was in prison. Matthew had always felt the need to prove his identity outside of the Cory family. He didn't work at the family business, Cory Publishing, until 1998 although he would occasionally sit in at meetings as an interested party. Matt left KBAY at the end of 1996 and joined Jake McKinnon as owners of The Bay City Herald. He and Jake frequently disagreed over the paper's direction and even their own roles. Finally a flip of the coin settled that Jake was the publisher and Matt the editor-in-chief. In 1997, Matthew gave his half of the paper to Amanda. In late 1990, Matt founded D & M Productions with Dean Frame. D & M (which stands for Dean and Matthew) is a music business that promotes singers. 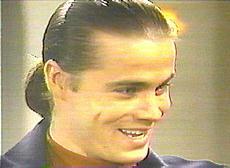 Its star performer was Dean Frame, a singer. D & M was a very successful venture. It closed in late 1993 by mutual agreement. It had outlived its purpose as Dean and Matt were ready for other projects. Matt returned to the music business briefly in 1998 with C Squared Productions. 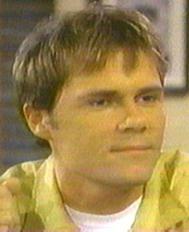 In 1994, Matt became co-owner of KBAY, Bay City's television studio. He made many of the managerial decisions and enjoyed a lot of success. In 1998, Matthew formed the short-lived Cory Med, to distribute Shane Roberts' new medicine.